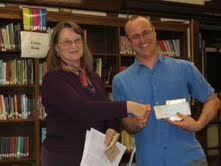 Two Minneapolis schools were recently awarded with a 2011 Lorrie Otto Seeds For Education grant. Dowling Urban Environmental School PTO (in the Longfellow neighborhood of Minneapolis) and New City School were the first two Minneapolis schools ever to win SFE awards. John Hoch of Dowling Urban Environmental School, wrote the grant request that was submitted to Wild Ones National. The Lorrie Otto Seeds for Education Grant Program gives small monetary grants to schools, nature centers, and other non-profit and not-for-profit places of learning in the United States with a site available for a stewardship project. Successful non-school applicants often are a partnership between a youth group (scouts, 4-H, etc.) and a site owner. Libraries, government agencies and houses of worship are eligible subject to youth participation.